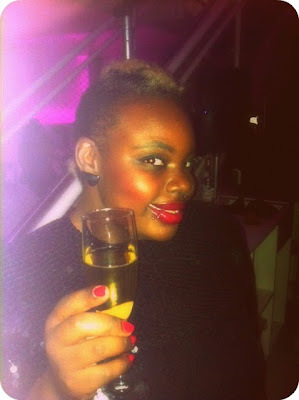 I performed at SupperClub last night thanks to Stages Salon and Spa! I performed right after the big meal at Supperclub...I guess I was Dessert? I was so happy to be able to walk down those stairs and perform and NOT FALL! Word on the streets is that I will have my own showcase soon...Say whaaaat!